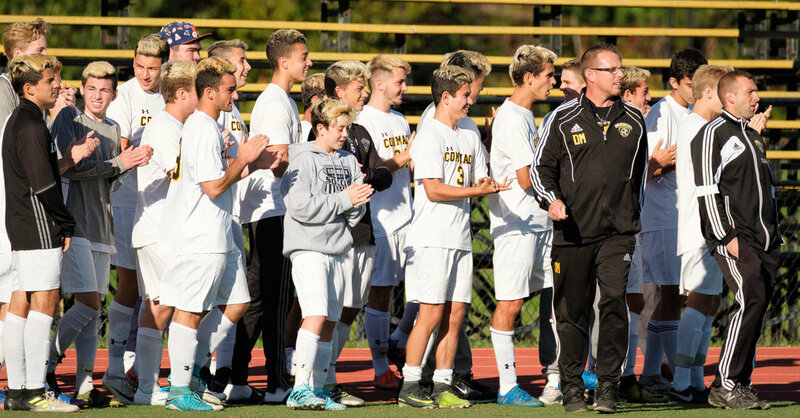 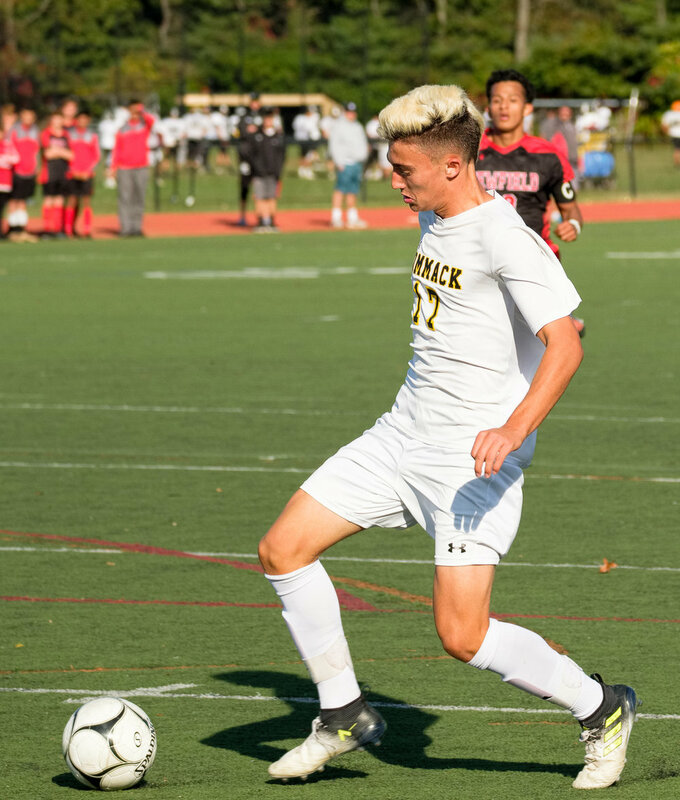 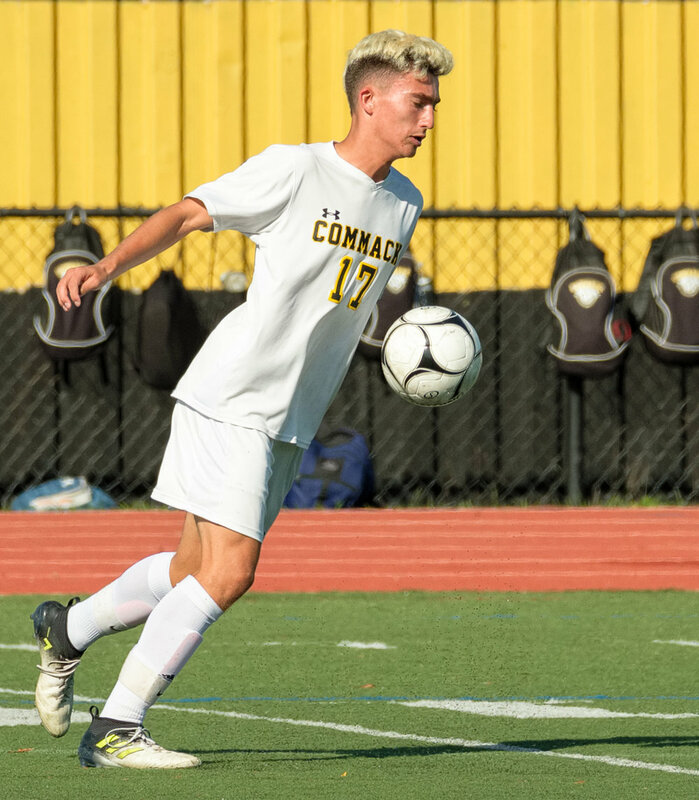 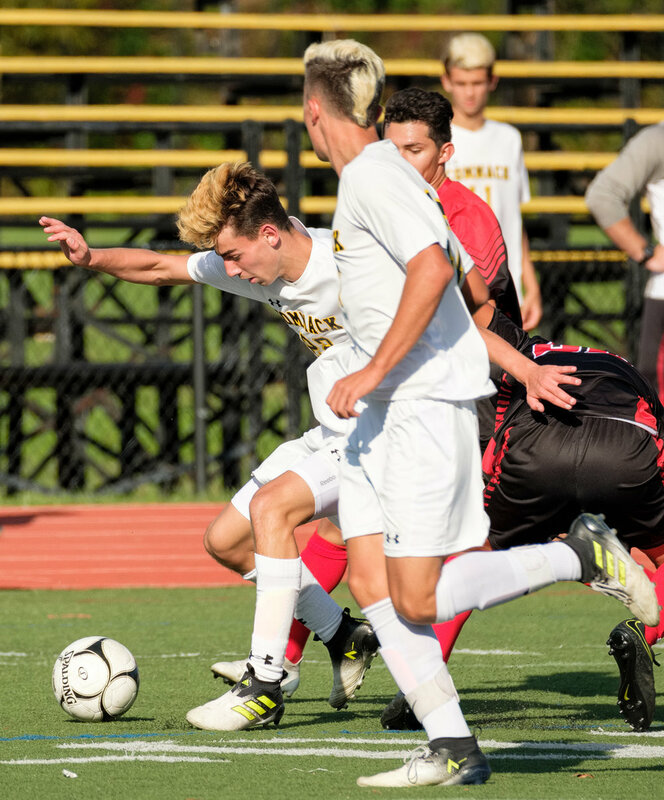 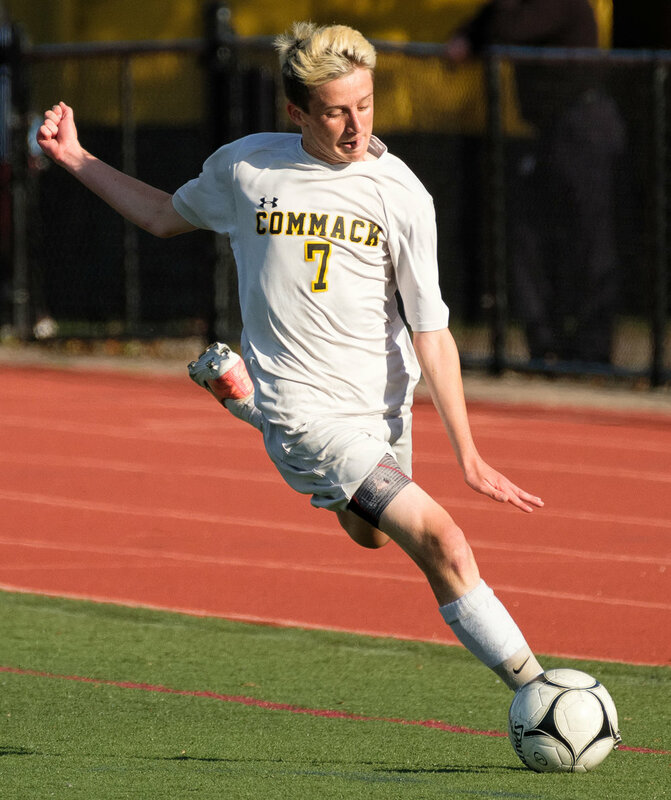 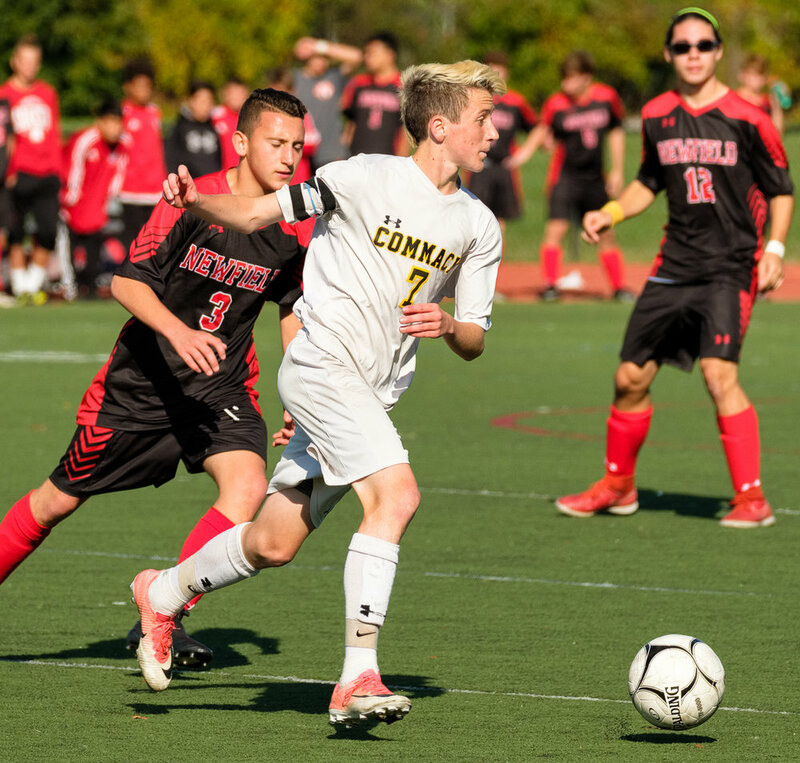 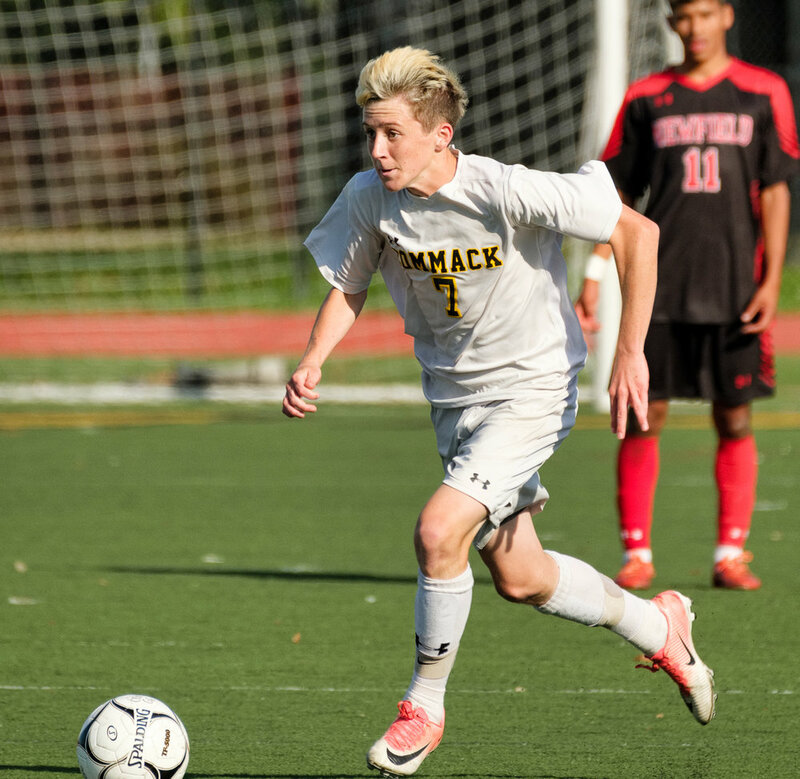 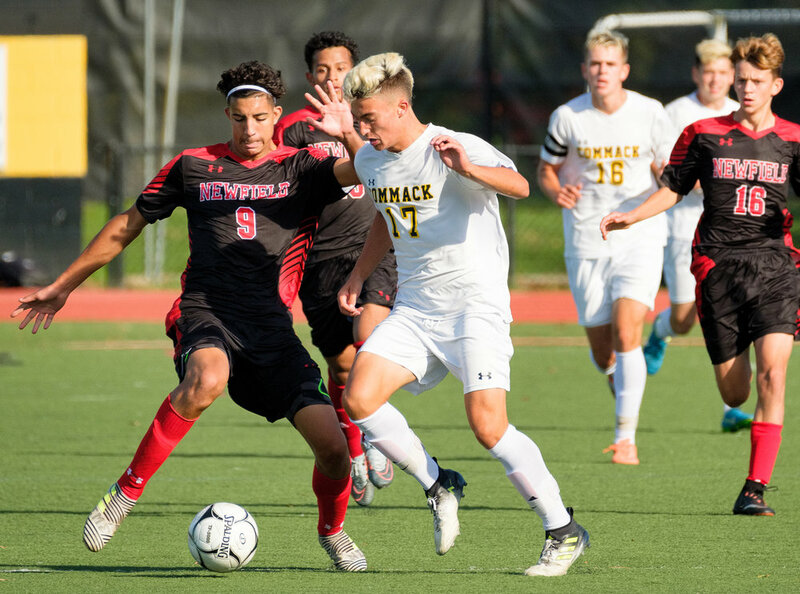 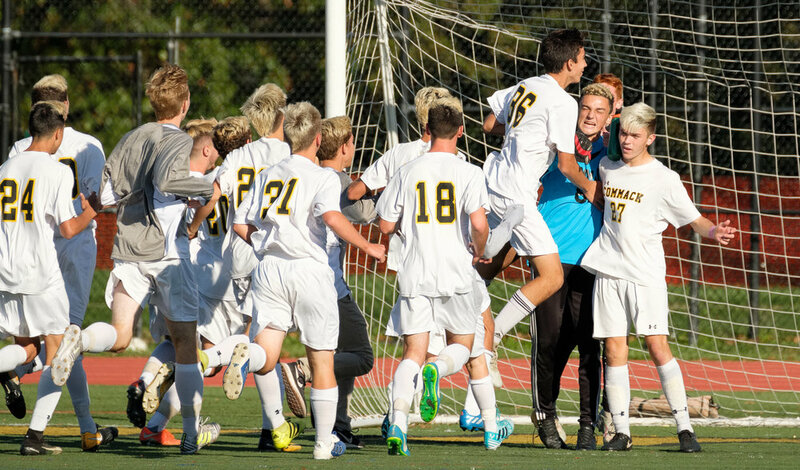 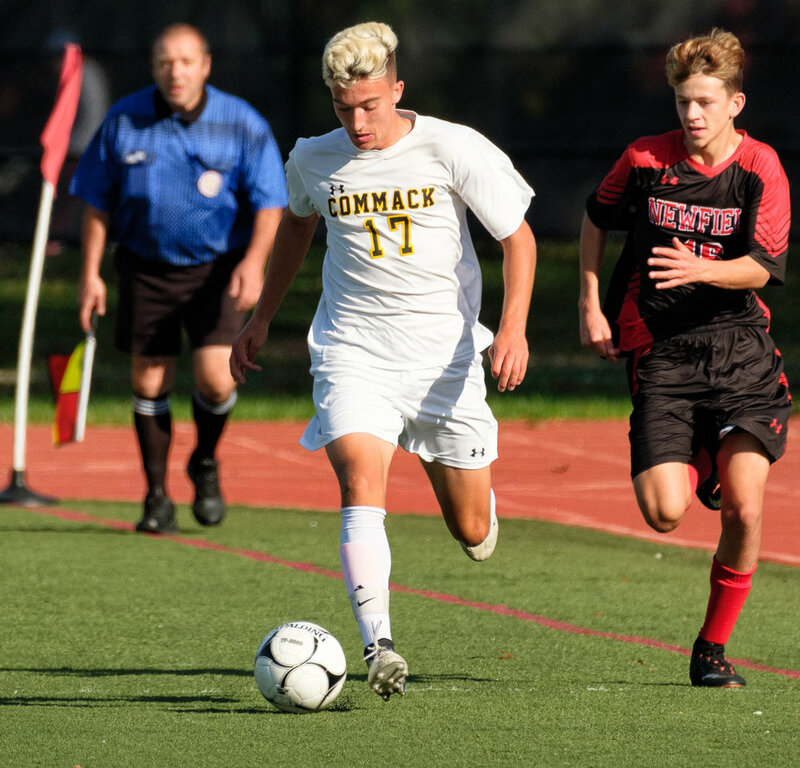 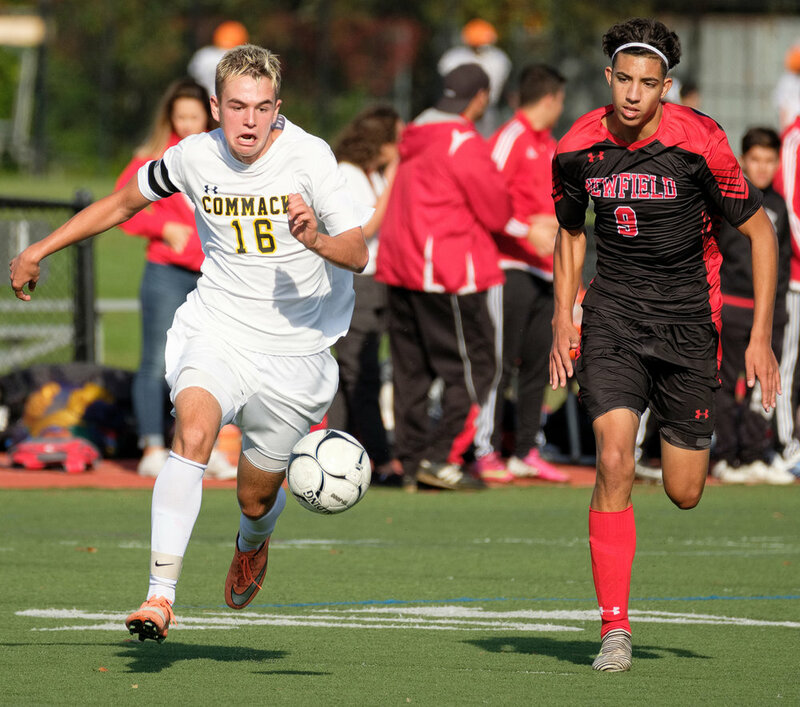 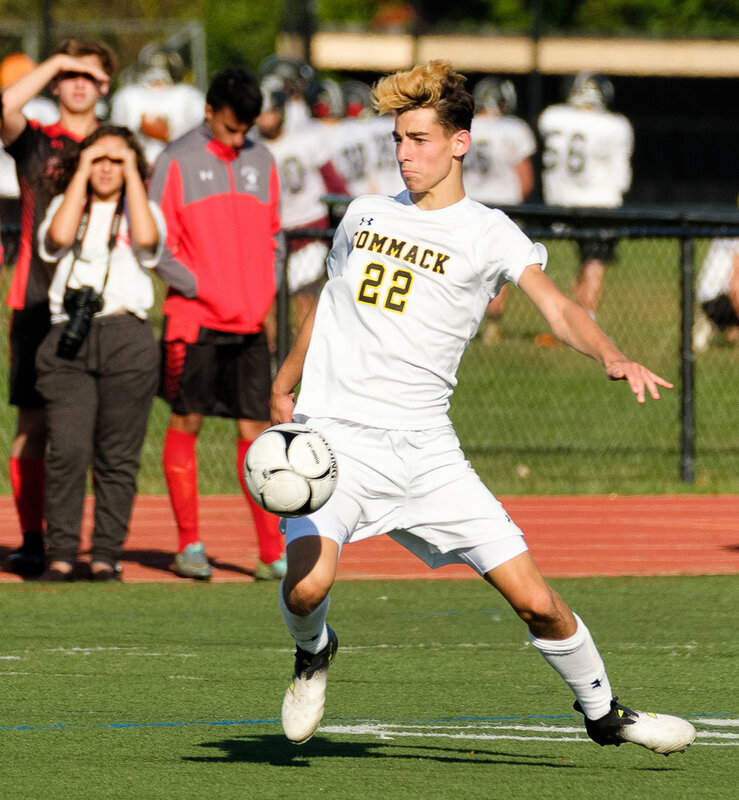 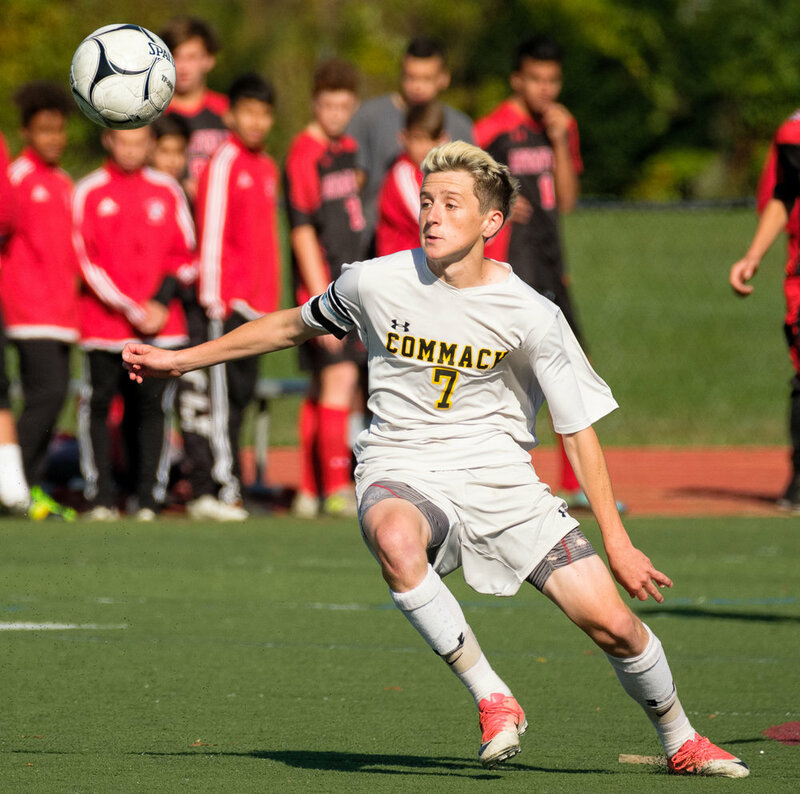 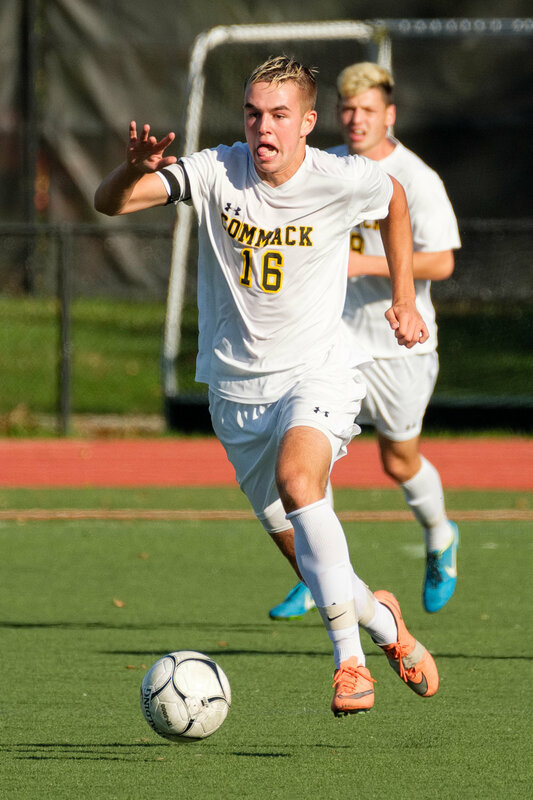 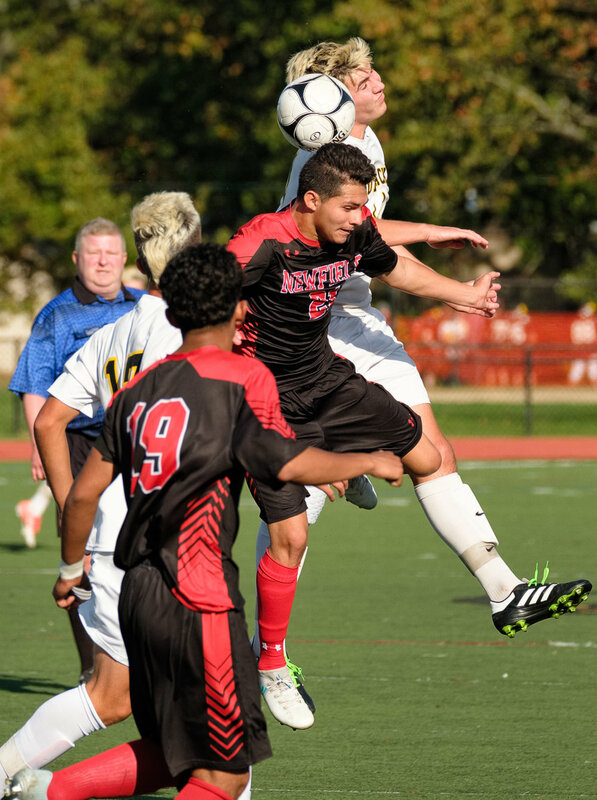 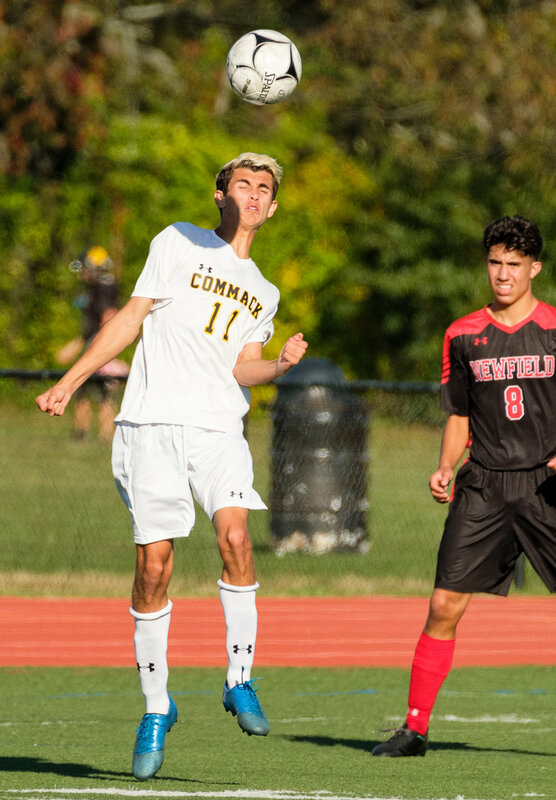 Another win for the Commack boys soccer team, this one over Newfield in the Suffolk quarterfinals. 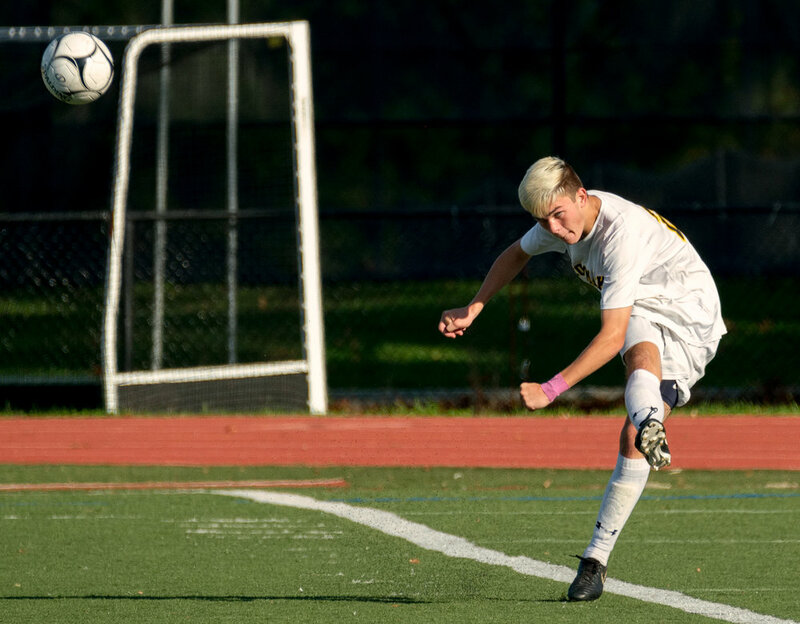 Sometimes a second camera body comes in very handy when shooting field sports. 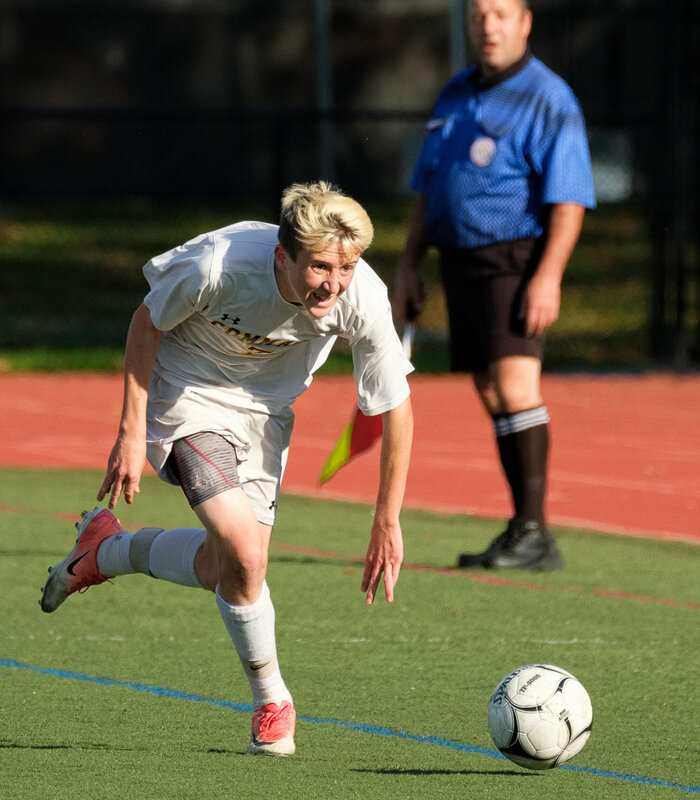 When the play comes close to you and you're shooting with a long lens you may not be able to get the entire play in the shot. 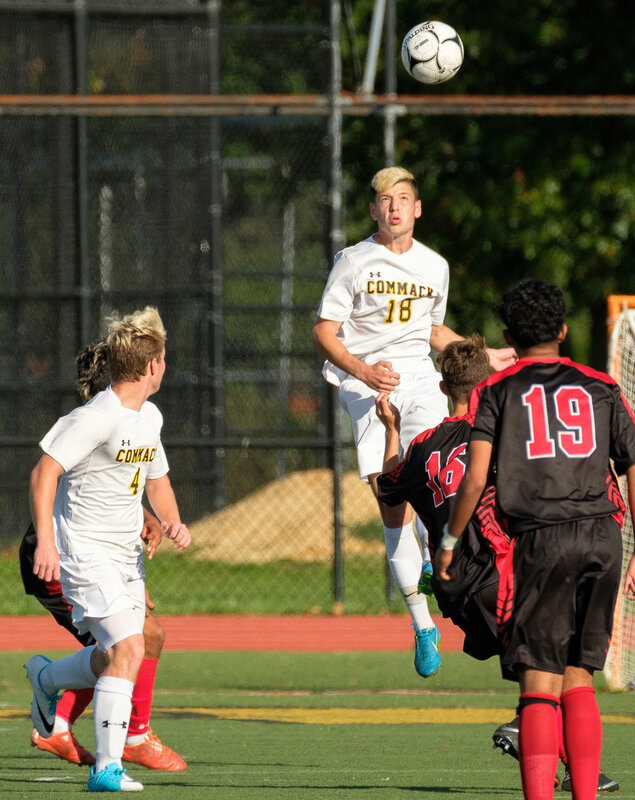 I was shooting this game with my 100-400mm and, even zoomed out at 100mm, just barely got one of the goals and that was only because the play was close to the net. 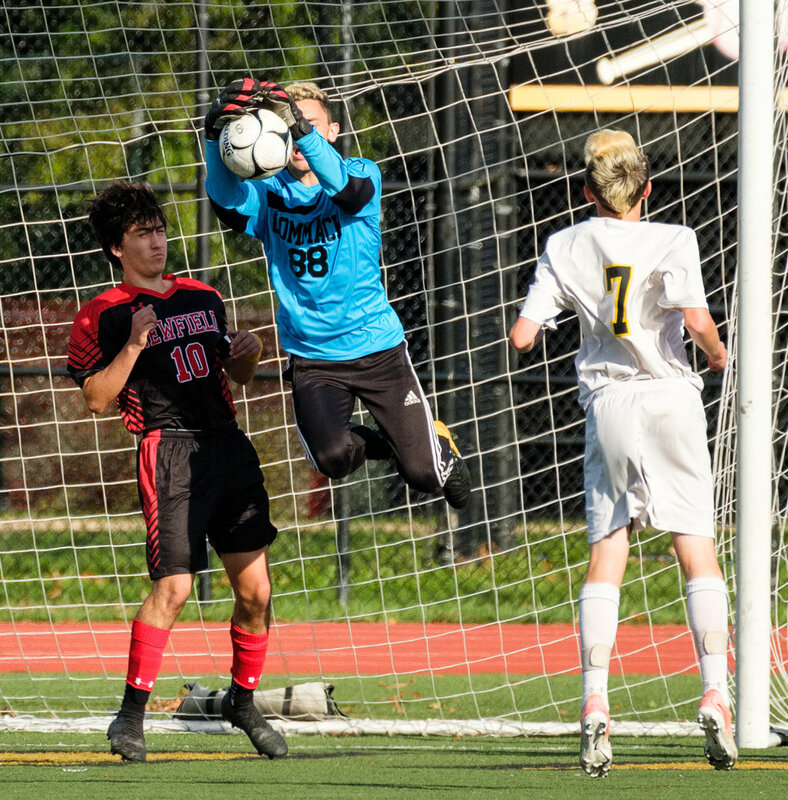 If the shot comes in from a distance and you're shooting with a long lens you have to make a quick decision on whether to get the attacker kicking or the ball going past the goalie. 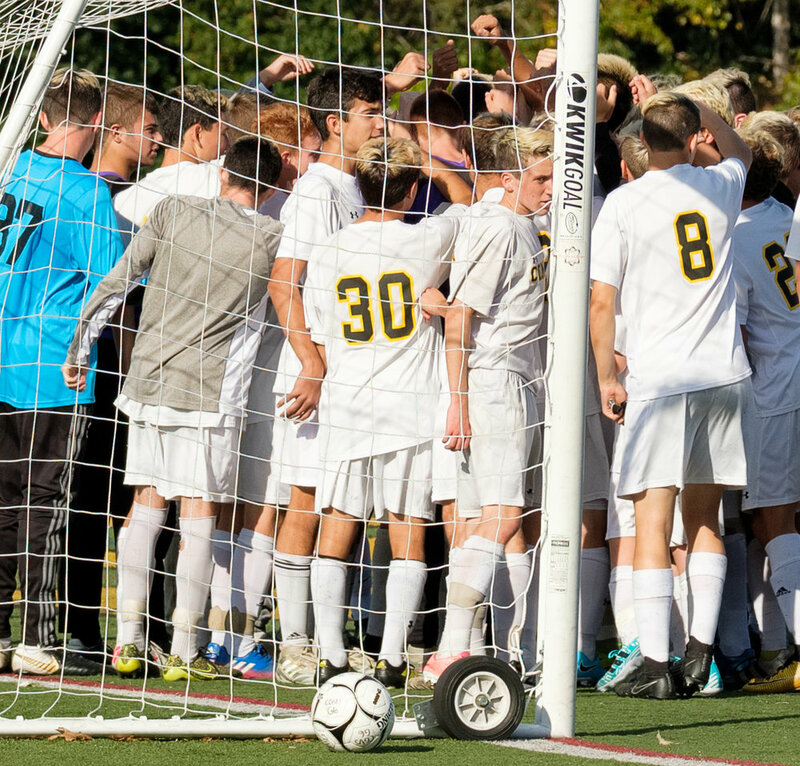 You may not have time to get both. 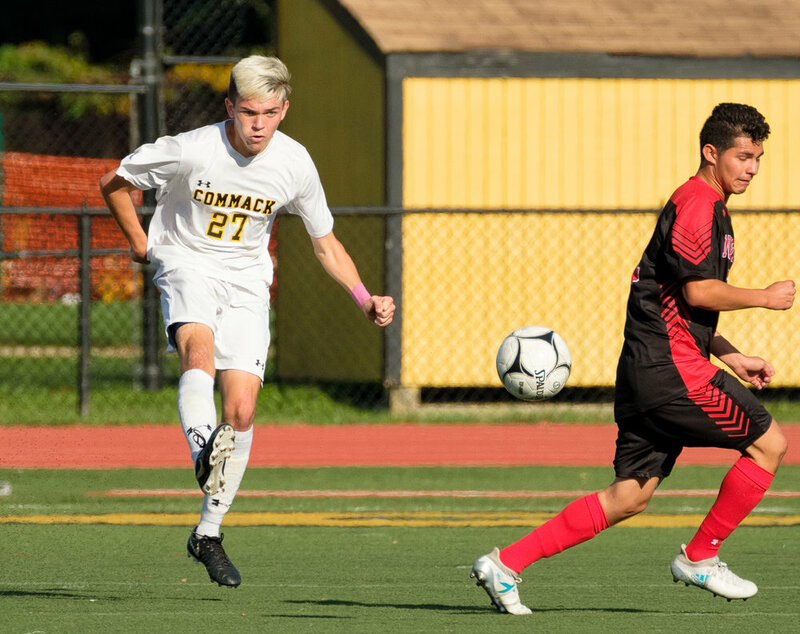 In situations like this I'll go for the attacker and then swing around to try to get a shot of the net; sometimes the ball may be bouncing around in there and I still might have a decent photo. 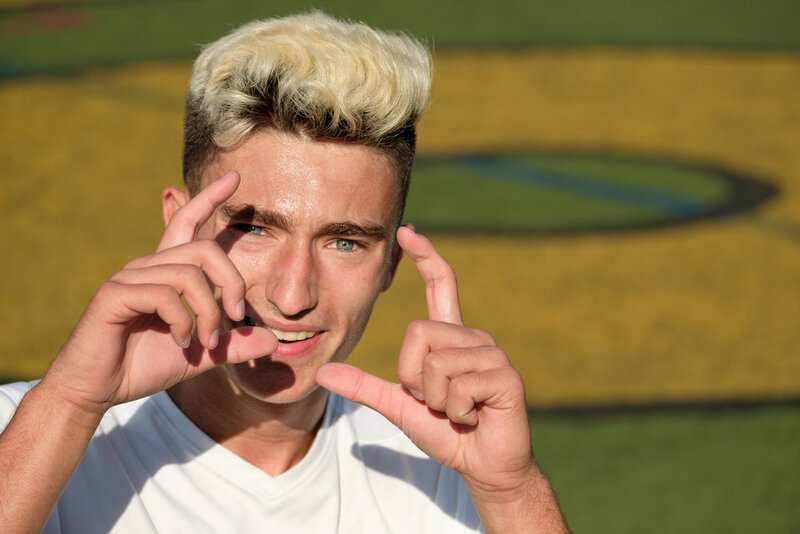 Naturally, if you're only shooting one team and it's your goalie making the stop you want to focus on the goalie. 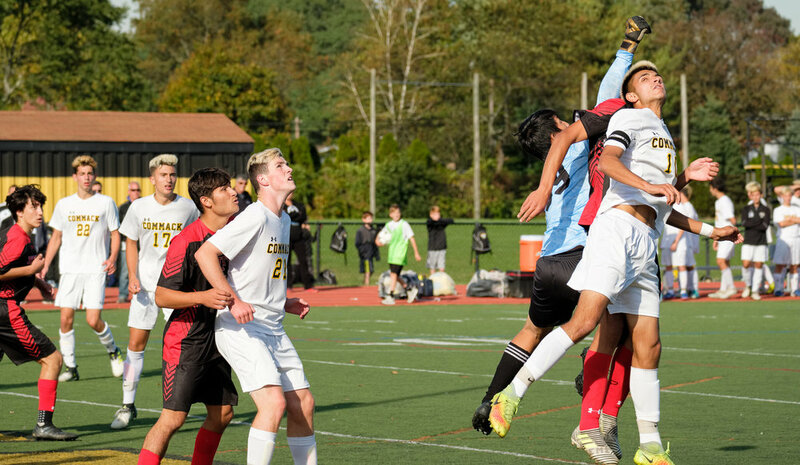 If you have a second body with a shorter lens you may be able to get the entire play, attacker and goalie, in the shot.